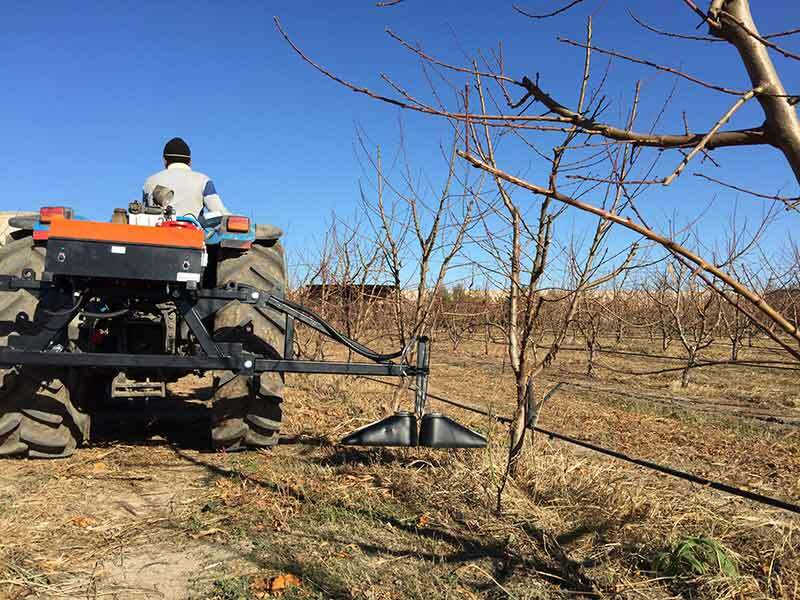 All MANKAR® spraying systems are based on ULV technology. ULV stands for "ultra low volume", meaning "particularly small (output) quantities". This is a further development of so-called CDA technology ("controlled droplet application"), whereby, in comparison with conventional spraying processes, smaller liquid droplets can be generated with uniform sizes. The droplet size (or its narrow size spectrum) is thereby adapted to the area of application. The core element of all MANKAR® ULV spraying systems is the segment rotation atomiser patented by Mantis. A defined volume of liquid product t is conveyed via pump or metering valve to the segment rotary atomiser, which generates droplets within a very narrow size spectrum (approx. 150 µ). 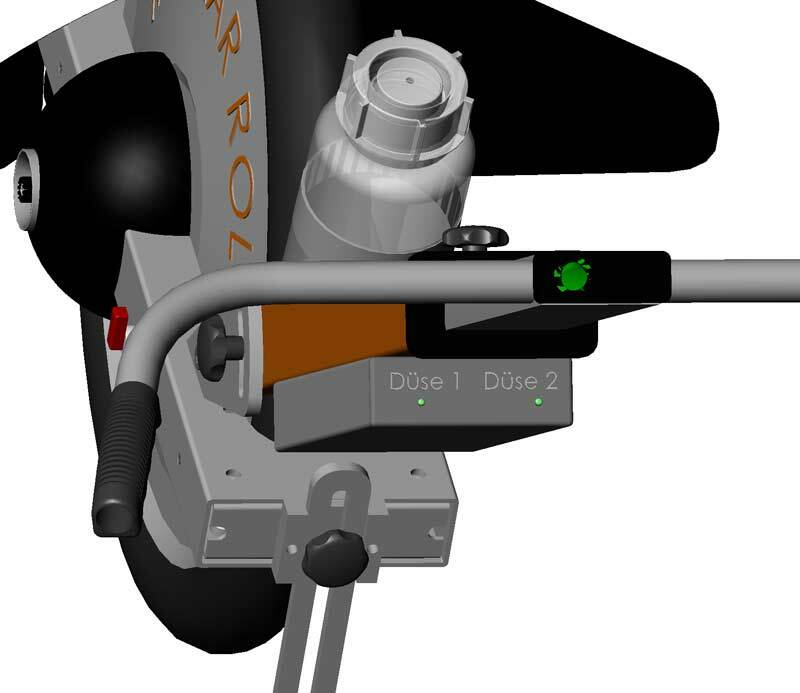 The rotary atomiser does not spray all around, but merely vertically downwards in a segment that is adjustable in width. Superfluous solution distributed by the rotating atomiser disc outside this segment is collected in the atomiser housing and directed back to the rotating disc. Using this atomiser, herbicides can be applied in an undiluted state. The droplets are discharged without pressure and vertically downwards, thus arriving at the precise location where they are needed. A spray hood also prevents drift due to wind. The spray width can be variably adjusted at the atomiser from 10 to 55 cm so, depending on the application, spraying units with one or more atomisers can be adapted precisely to the width desired. 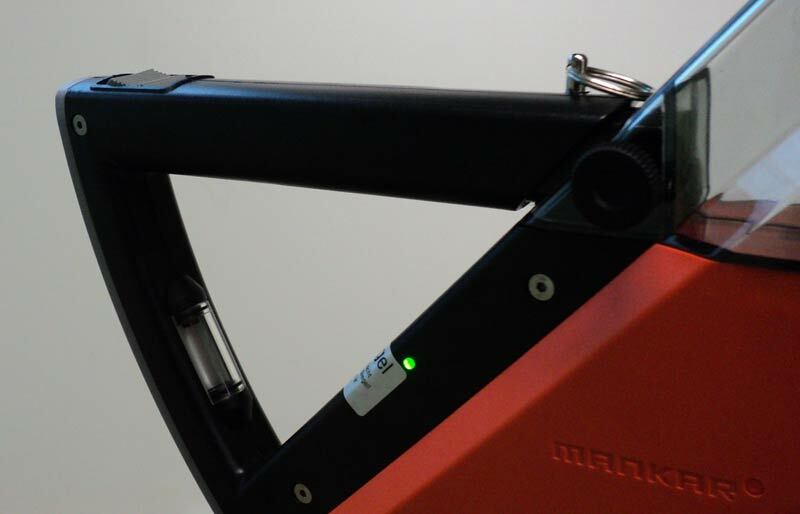 The hand-held units (MANKAR®-Carry) do not have a pump. 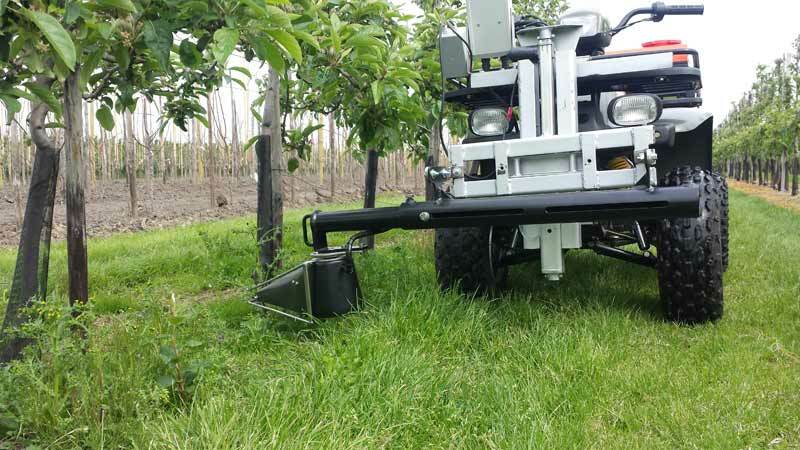 Metering in this case is carried out via a metering valve, and the herbicide is transported from the tank to the atomiser through gravity alone. 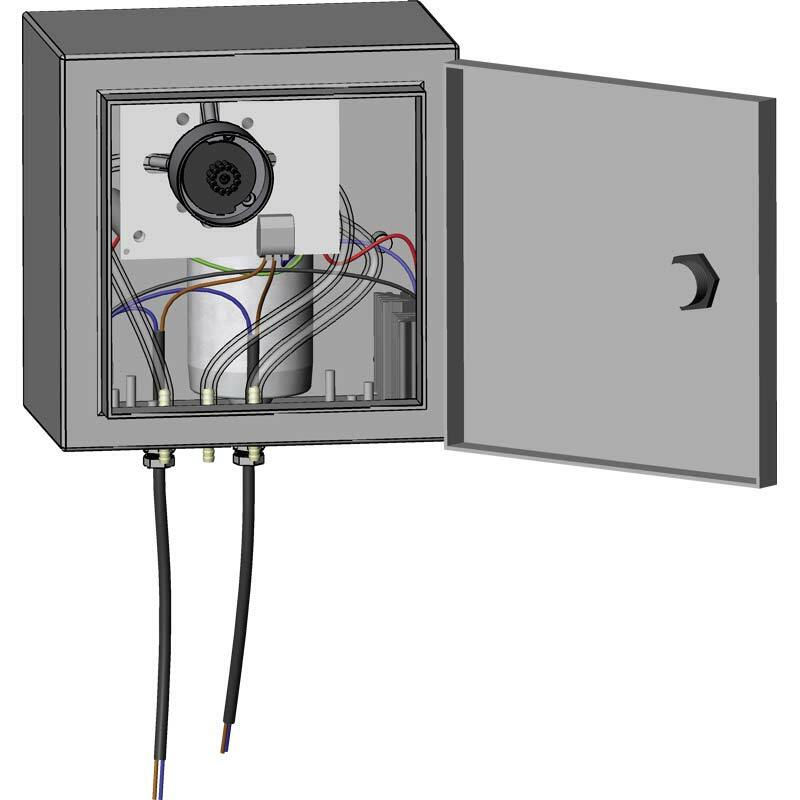 If a hand-held unit is to provide not only targeted application, but also overall surface coverage, then the anticipated walking or driving speed must be considered when adjusting the desired metering rate. This should be kept as accurate and as even as possible during herbicide application in order to realise a constant volume per unit of surface area and to avoid over or under-application in patches. 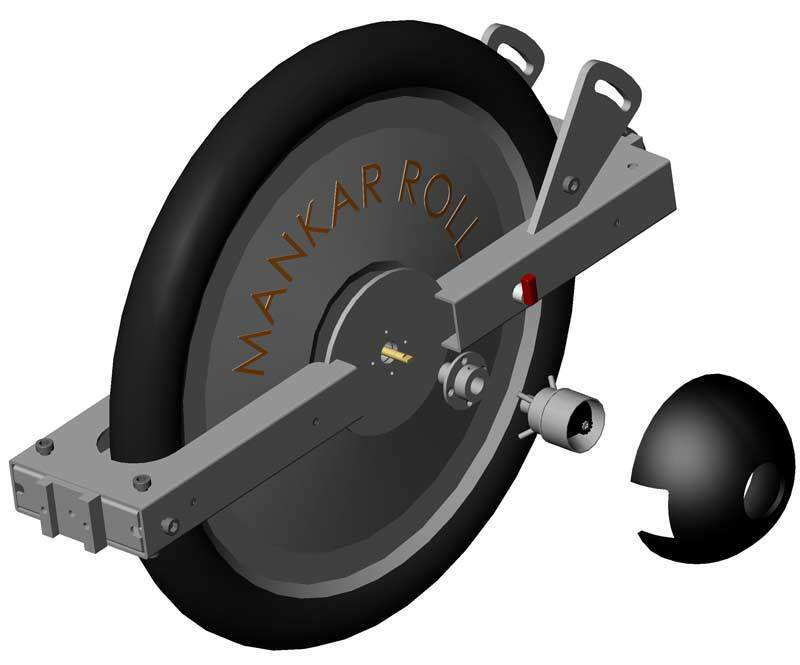 Metering in the MANKAR®-Roll and MANKAR®-Drive models takes place by means of a pump, which is driven by the spraying system's wheel. 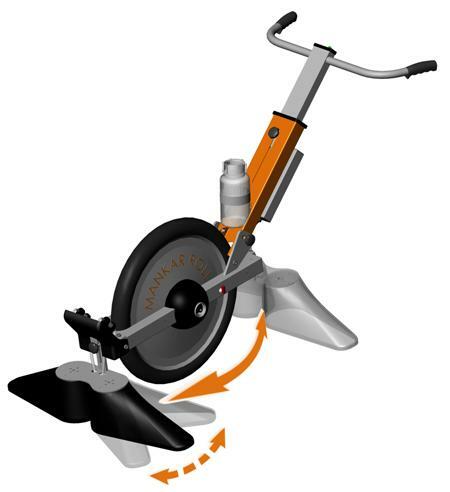 Therefore, it is dependent on the distance travelled (path-dependent) and not on the speed of the forward motion. With every turn of the wheel, a defined volume of herbicide is released. In this manner, the output volume can be precisely metered per unit of surface area (litre per ha). 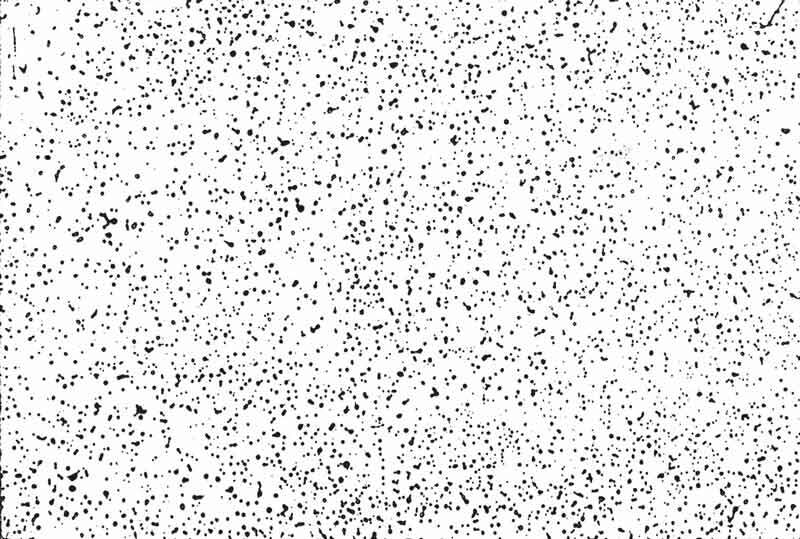 The result: optimal distribution of the active substance on to the surface being treated. no over-application of the herbicide. Subsequent damage to the cultivated plants is avoided, as is unnecessary costs for herbicide. No under-application of herbicide. There is no need for time-consuming re-application to rectify patchy coverage. 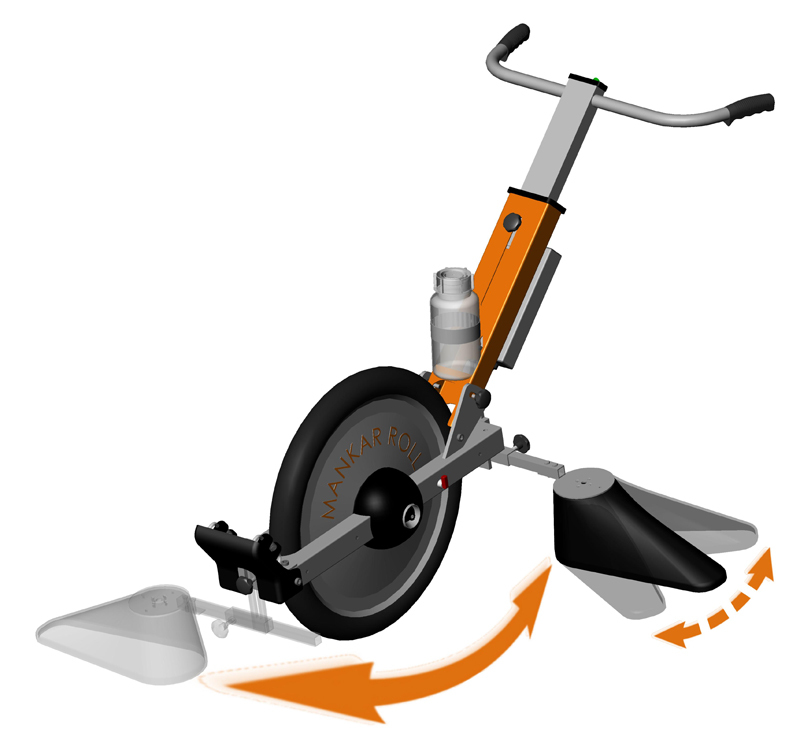 In mounted units with a wheel-driven pump, a parallelogram ensures that the wheel is in constant contact with the ground. 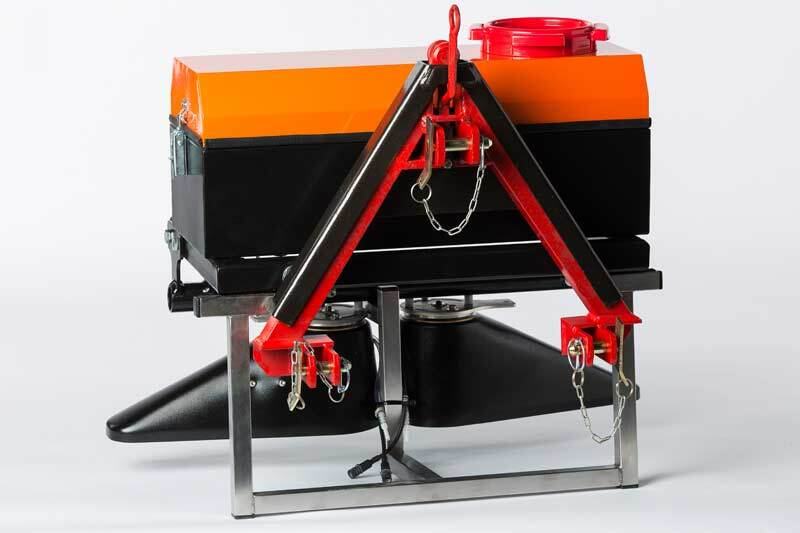 Another advantage of this parallelogram is that it regulates the distance between the atomisers and the ground, for example to reduce risk of driftage. 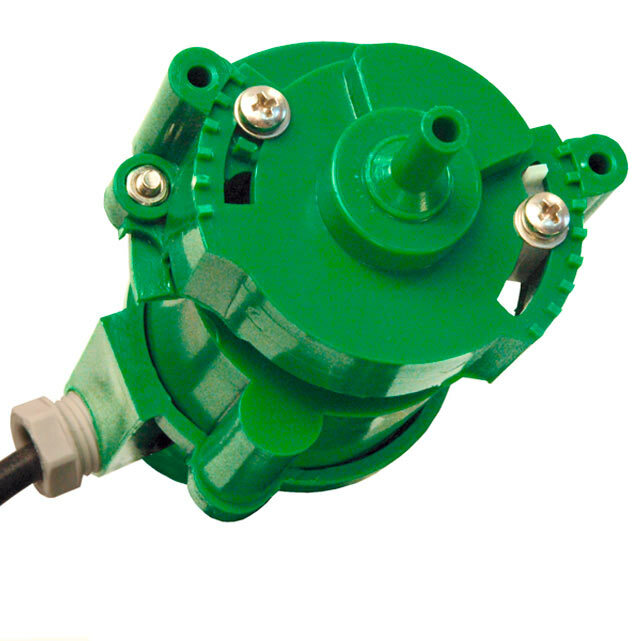 In some MANKAR®-Drive systems, the pump is driven electrically. If the unit is to provide overall surface coverage, then the anticipated walking and driving speed must be considered when adjusting the desired metering rate. This should be kept as accurate and as even as possible during herbicide application in order to realise a constant volume per unit of surface area. In mounted units such as the Varimant models, this method of metering leads to a lower total weight of the unit, as the parallelogram is not required. 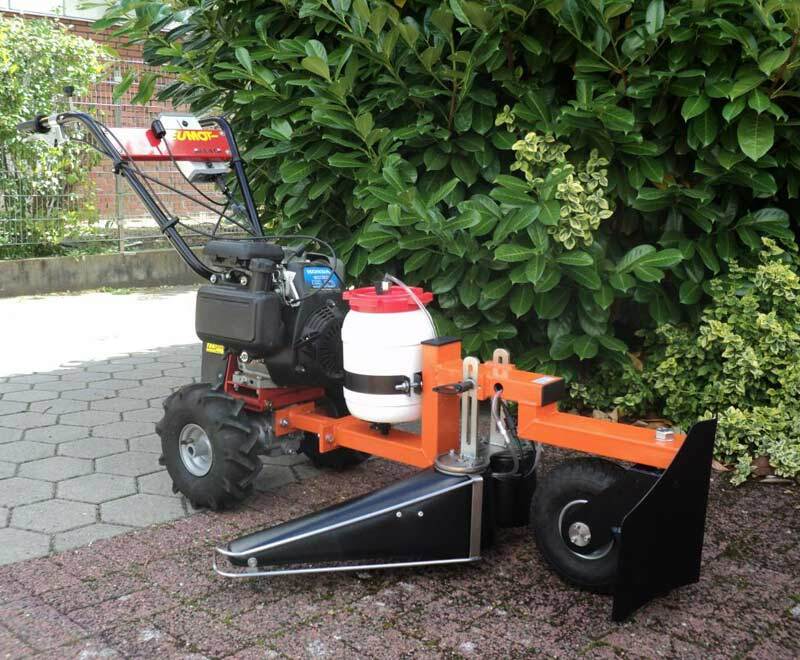 In applications such as steep slopes, this weight saving can be a decisive factor in opting for this kind of spray unit. all MANKAR-HQ, MANKAR-ONE and MANKAR-TWO models have an electronic battery and atomiser monitoring function as each atomiser has its own LED indicator light. 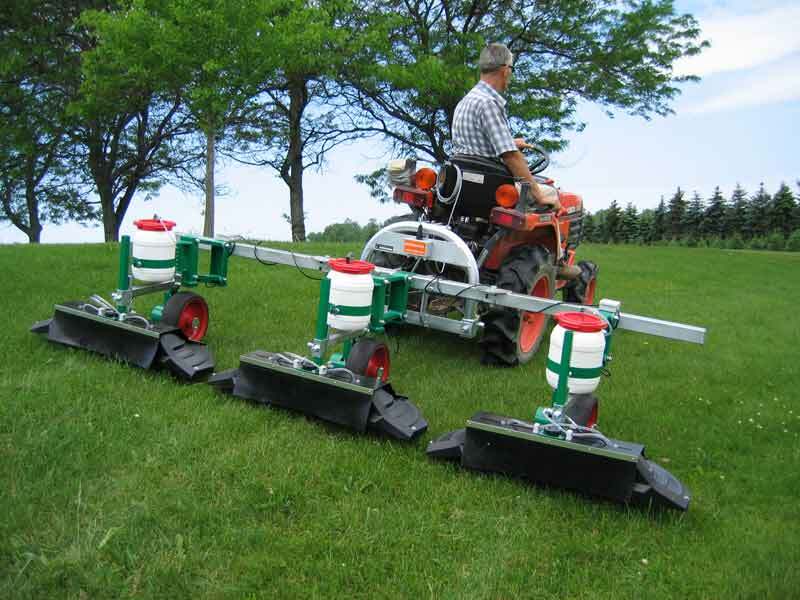 thanks to flow rate control, the user can see whether the herbicide is flowing correctly. 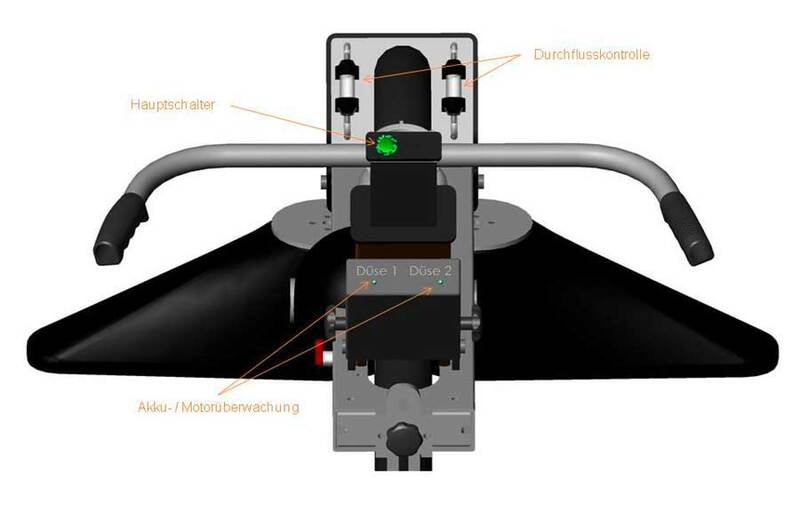 The innovative Flex spray hoods fold backwards upon contact with obstacles so that the spray width is automatically adjusted if, for example, you also want to spray in the rows between the cultivated plants. 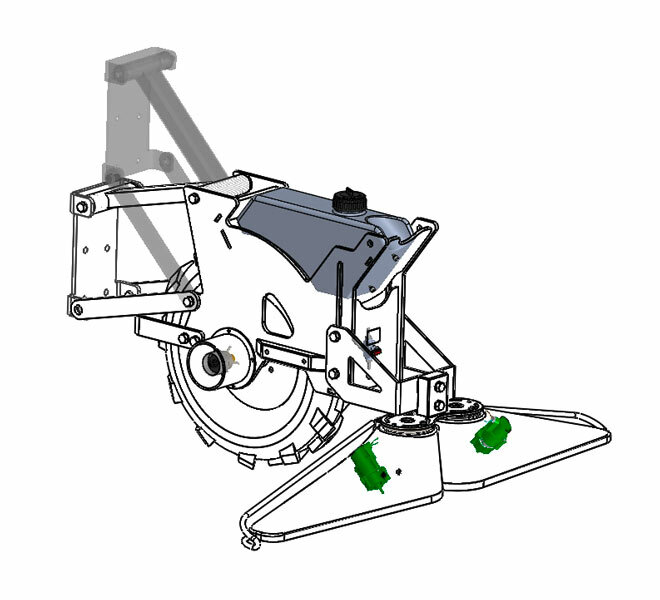 The strength of the spring of this fold-back mechanism can be adjusted to suit various cultivated plants (e.g. large trees or young, sensitive shrubs). The maximum spray width can be reduced, if necessary, while maintaining the fold-back mechanism. Alternatively, the spray hoods can be fixed if the fold-back mechanism is not required. There are three basic spray hoods each with one atomiser and a spray width of 25, 40 or 55 cm. In MANKAR-Roll models, these can cover a total spray width of between 25 and 110 cm depending on the combination and configuration. 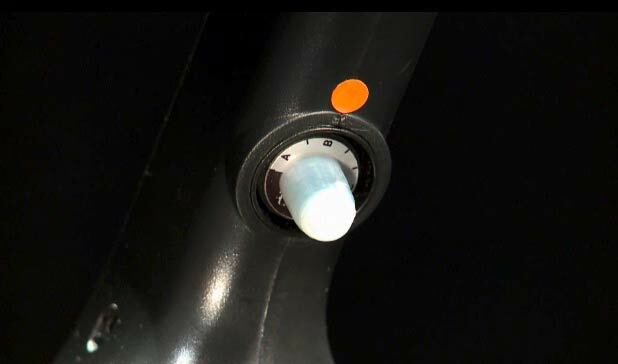 Spray hoods are fitted as required either in front of or behind the wheel. Optional spray arms with a maximum extension width of 50 cm are also available. In MANKAR-Drive models, considerably larger spray widths are possible and the length and type and length of the extension arms is available on demand. 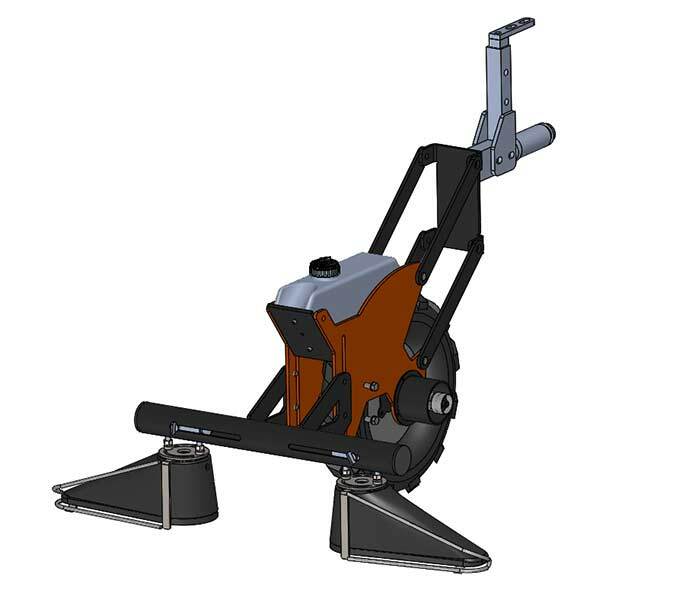 Special mounted units, for example for gantry tractors, quads and ride-on mowers, which do not have a 3-point hitch. Suitable adapters area available for each mounted unit and virtually any vehicle upon request. in row cultivation with large-scale row widths, there should generally be a green strip in the centre to avoid soil erosion. Use of herbicide across the entire area is not desired in such cases and the spray hoods are therefore only fitted on the outside on extensions arms. 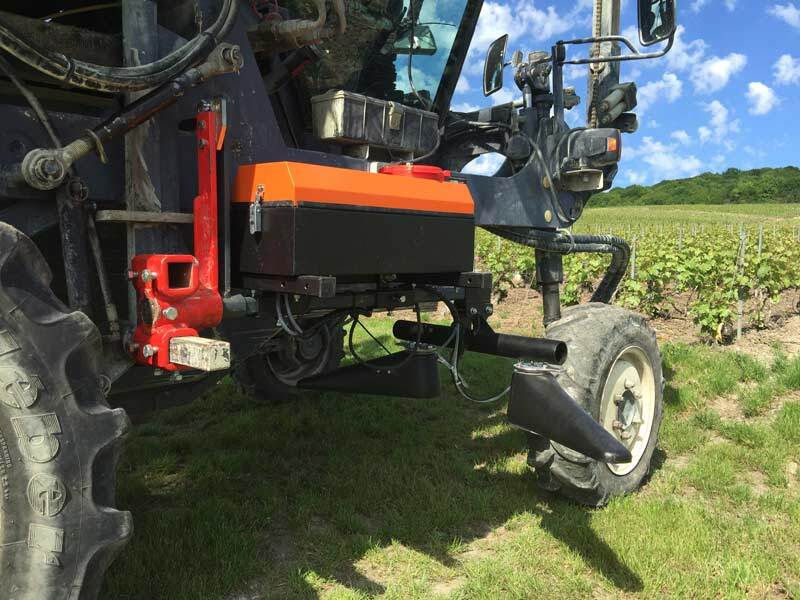 The extension width is adjustable within a specific range, so the spray units can be adjusted to various row widths. 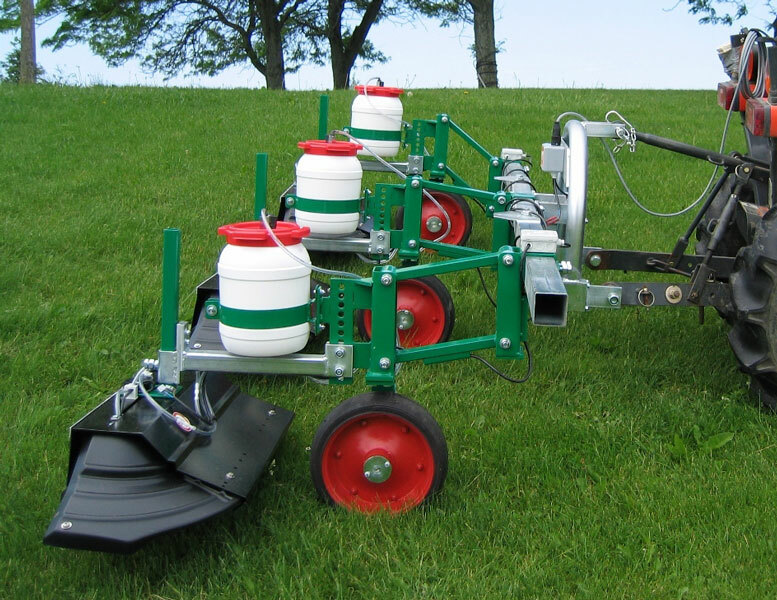 On grass areas, paths and squares, full-surface treatment can be required, and the desired spray width corresponds to the full width of teh operating/extension arms. For transportation of a mounted unit on tracks and roads, the extension arms can, of course, be moved to a space-saving position so as to not touch the road when driving. Metering is carried out either via an electric or wheel-driven pump, depending on the unit type . 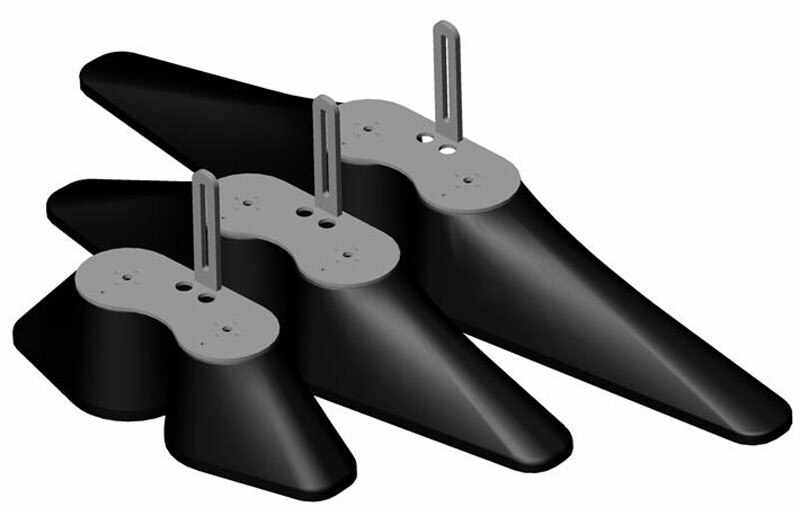 For wheel-driven pumps, a special parallelogram has been developed in order to ensure that the wheel is in constant contact with the ground and the correct distance is maintained between the atomisers and the ground. This means that the position of the spray hoods and atomisers is not dependent on the position of the tractor, e.g. on uneven or sloping ground.